Publication Date 7th December 2018. 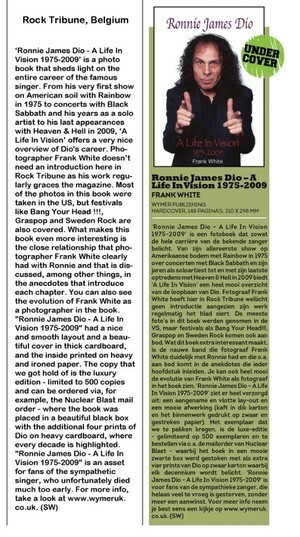 A Life In Vision is a photographic journey of one of the most admired and respected rock vocalists of all time - Ronnie James Dio. This beautiful collection of photos were all taken by New Jersey photographer Frank White. 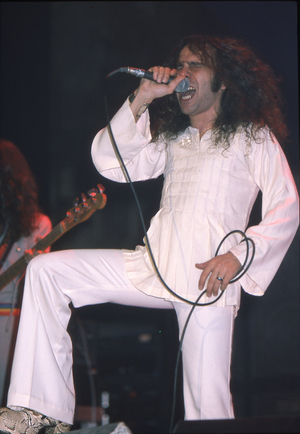 They capture Dio from his first ever US show with Rainbow in 1975 through to 2009 with Heaven & Hell, just a few months before he lost his fight with cancer in May 2010. 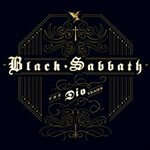 This is the most comprehensive collection of photos ever compiled into one book that cover the most revered period of Dio's illustrious career. 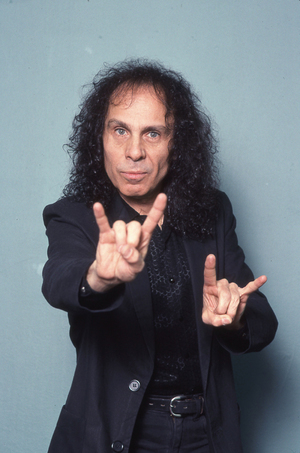 Throughout the decades Frank White captured Ronnie's career with Rainbow, Black Sabbath, his own band Dio and Heaven & Hell, on stage in both the USA and Europe. 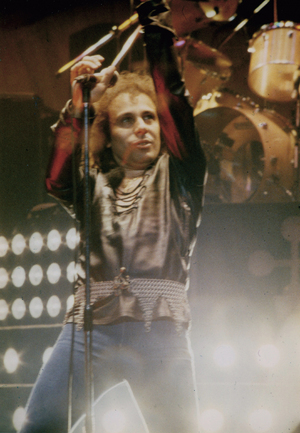 From East to West Coast, this collection includes photos of Ronnie in the States playing to huge audiences at venues such as New York's Madison Square Garden as well as tiny intimate club shows. There are also photos from Europe, taken at festivals in Sweden and the Netherlands. Frank also took many shots of Ronnie relaxing off stage; at TV studios, charity events and the like, as well as dedicated, back stage shoots with his band. 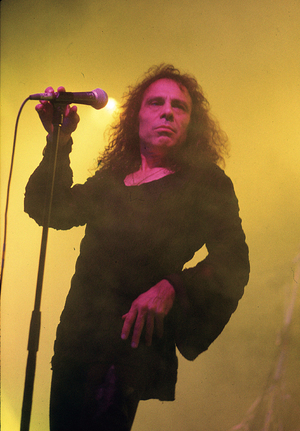 A Life In Vision also includes White’s recollections of Dio as he recalls the many times shared in his company from the other side of the lens. A Life In Vision comes in its own custom made, block foiled buckram presentation box with a set of four full colour prints, perfect for framing — one each from the 1970s, 80s. 90s and 2000s. This unique item is limited to 500 copies worldwide. * 144 page A4 hardback. * Printed on 170gsm silk paper. * Custom made block foil, buckram presentation box. * Set of 4 prints on 400gsm card.